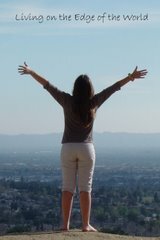 I am going to have a free priceless experience with my two teenagers. We are going to work a shift decorating a Rose Bowl float. Several years ago, I spent the afternoon working on a Rose Bowl Parade float. I was next to a group of a dozen or so people who told me that they had gathered together for several decades, one day a year, to help decorate the floats. They had traveled from near and far to participate in the activity that they looked forward to more than any other in the year. What makes this SUCH a special event? Here's what I can tell you. Just thinking about going to work again on the floats gets me excited. There is an intensely creative atmosphere in that warehouse. The air smells of a mixture of glue and the most amazing flower scents. Everyone is engaged in an activity that requires their total attention. The actions are tiny, tiny, tiny... but they are all working together to create this huge, beautiful creation that will be seen around the world. 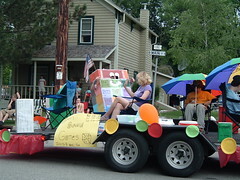 There is anticipation and a sense that time is running out - since the floats MUST be ready in time for the parade. As the date gets nearer, people work around the clock to ready the floats. Wow! To be a part of THAT. To share such a sense of accomplishment with your kids, your friends, your family. THAT is priceless. As a homeschooler and a parent, I want my children to understand that great things do not happen just by wishing or dreaming. You must wish and dream to start, but then you must make it HAPPEN. It requires that you DO something. Sometimes it requires that you do A LOT of something or that you get A LOT of people to do something. But when you do that, and persist, you get a great product and a sense of achievement that money can not buy. 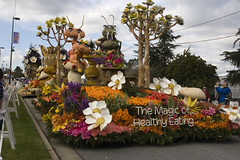 That is why I am going to go with my kids to work a shift on the Rose Bowl floats. If you are in the Los Angeles area in the month of December, you too can volunteer to help decorate a Rose Bowl float. You do need to work a full shift and you must be at least 13 years old to volunteer. You must sign up ahead of time. If you are looking to create a new family tradition, I strongly suggest that you consider decorating a float. Of course, not everyone can come to Pasadena, California to decorate a float, but there are parades all over the country and most of them have floats that you can volunteer to help decorate. Volunteering is a wonderful family activity and available to just about everyone everywhere.